Amidst the toughest stretch of the year for the Colorado Avalanche, the organization has decided to take a longer-term approach with the development of Tyson Jost by demoting him to the AHL Colorado Eagles on Wednesday afternoon. 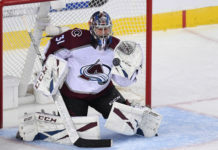 The move comes as a major surprise, as the Avs lured him out of college at the end of the 2016-17 season with the promise of NHL ice time. The soon-to-be 21-year-old has struggled in his sophomore year, scoring just 15 points in 43 games and spending a lot of games on the fourth line. The 10th overall selection for the Avs in 2016, Jost spent the year after the draft at the University of North Dakota, where he put up 35 points in 33 games. While many believed another year of college hockey was necessary in his development, the Avalanche made the decision to sign him and give him a tryout in 2017. He played in the final six games for the Avs in 16-17 and scored one goal. His rookie season in Colorado was slightly disappointing, as he only put up 22 points in 65 games and struggled to play with the pace that the rest of the team played at. 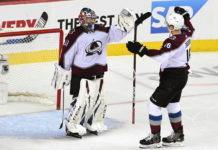 Coming into this season, the Avs made it clear that he would be given every opportunity to be the team’s second-line center, but it became immediately clear that he was not ready for that position. He has spent a large majority of the season shuffling between the second, third and fourth lines, mostly playing the wing, and has gone through extended slumps. This move might be a last-ditch effort for the Avs to salvage the scoring potential that lies within Jost. The move to the AHL should allow Jost to move back to his natural center position, and hopefully regain some confidence offensively. 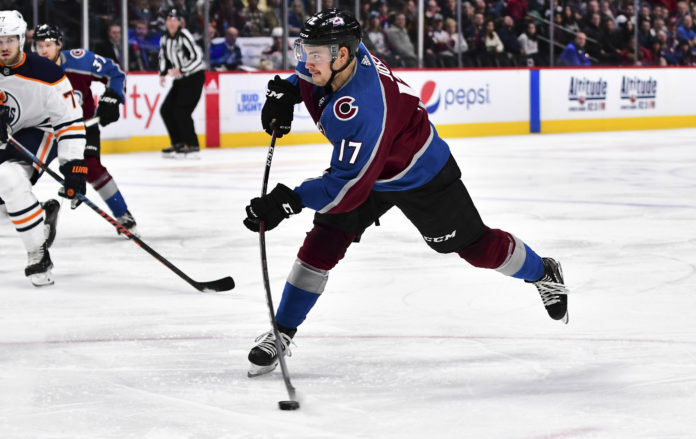 Jost played five games in the AHL last season on a brief injury recovery stint, and was brought back up to the Avs, despite only putting up two points in those five games. 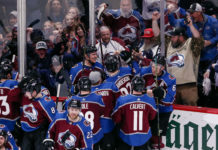 If the Avs are really looking to revitalize Jost and get something from him in the long term, it would be best for them to leave him in the AHL the rest of the year so that he can develop some confidence, and bring that confidence back to the NHL next season. This shouldn’t be seen as giving up on Jost, but as the Avs trying to get the most out of him, and in order for that to happen, they need to commit to his long-term development. The AHL won’t cure all of his problems, as he still needs a lot of work on his skating and strength that will likely be done in the off-season, but it’s a start. For the Avs, they’ll likely replace his spot in the lineup with veteran Gabriel Bourque, as Jost was playing limited minutes in recent games. They will look to bounce back at home on Saturday against the Los Angeles Kings after a tough 1-4 road trip.